We have some exciting news to share, both for us and for you. 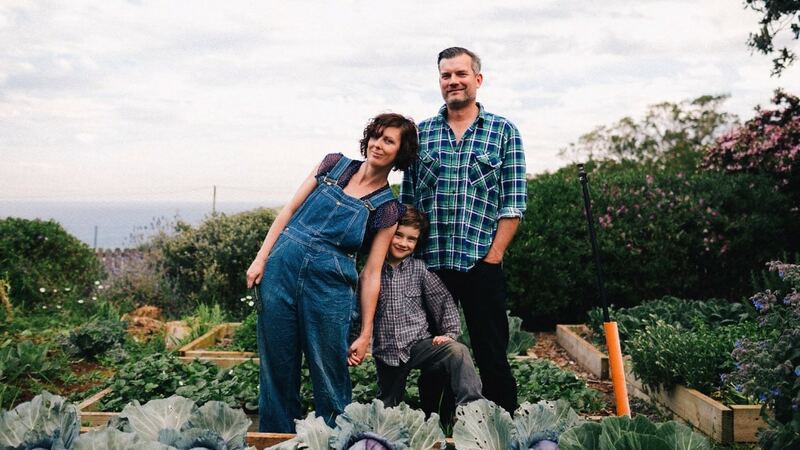 From mid-Winter this year, Nick, Kirsten + Ashar will be de-camping to Melliodora in Victoria, an amazing permaculture homestead and the home of Permaculture co-originator David Holmgren + his powerhouse partner, Su Dennett. We’ve been invited to do a 12 month residency at this special place, and we’re feeling very honoured, and also very excited. Melliodora is one of the oldest home-scale permaculture demonstration sites, and it’s been David + Su + family’s home for nearly 30 years. It’s an iconic, integrated permaculture design incorporating solar passive buildings, water harvesting features, perennial orchards, fodder systems + woodlots, integrated animal systems, annual gardens, designed livelihoods, simple living, and deeply amazing people. To be asked to come and live there is, in short, a dream come true for our family. We couldn’t think of a better environment to raise our kid, work hard, sleep sound and do good in the time we have on Earth. 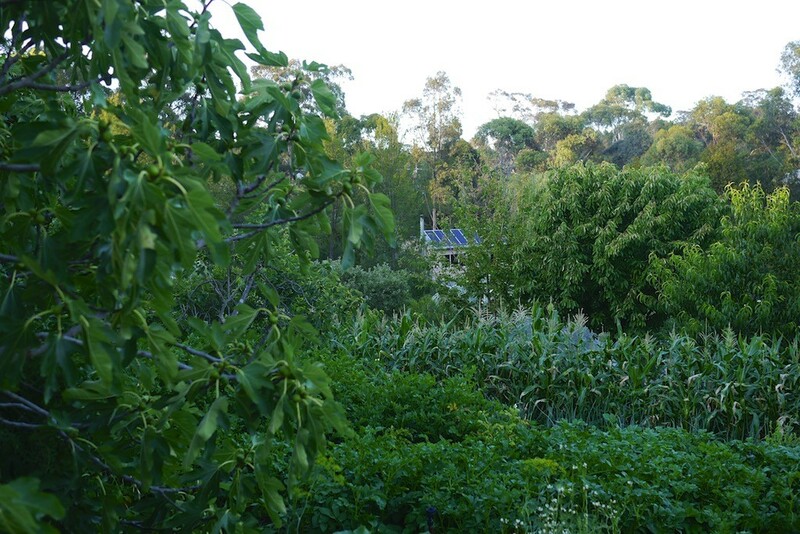 If you’ve been following us awhile, you’ll know that two years back we left Milkwood Farm, a 20-acre aspiring permaculture allotment perched on the side of Nick’s larger family farm near Mudgee NSW. Things change. Nick’s parents have since sold that farm and are happily set up closer to town now. 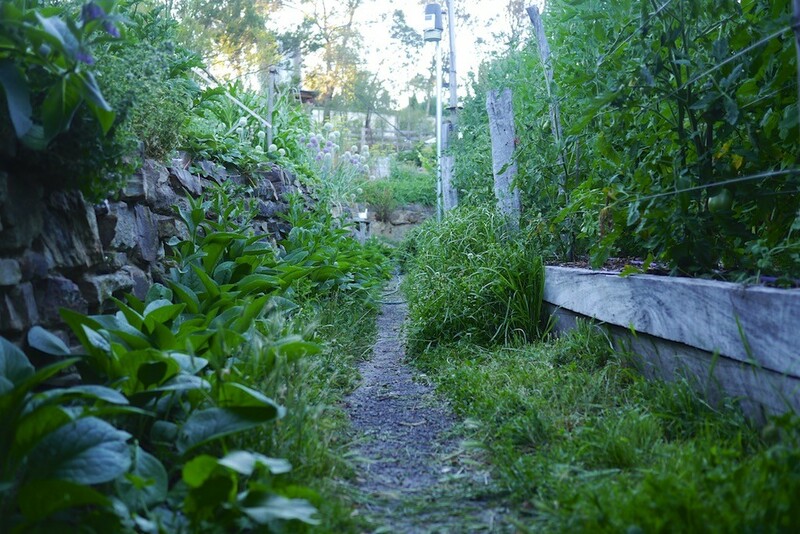 We headed east, to focus on Sydney-based permaculture education, and to live in various rentals near Kirsten’s hometown, Kiama. It’s been a BIG two years of trying things out, working hard, teaching, planting rooftop gardens, planting rental gardens, and planting new ideas. And now, we’re ready for a new land-based project to sink our teeth into. One that involves dirt and apples and chores and goats and community and change and hope and the opportunity to help craft possible, positive futures for many. 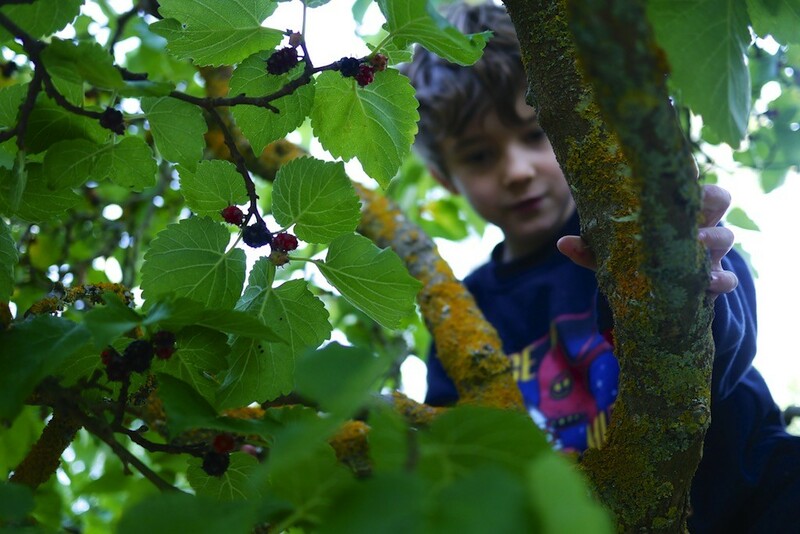 We’re looking forward to embracing a more hands-on life, living simply once more, growing most of what we eat, building tree forts and campfires, and documenting + sharing useful things as we go. We’re looking forward to sinking our teeth deeper into permaculture design theory + practice, and future scenarios, and sharing that all with you. In practical terms, this means a lot less Milkwood face-to-face courses will be happening, from August onward. It’s a big change. But we’re up for it. This shift in focus will mean lots of good things for you, too. We’re going to spend more time documenting permaculture design techniques + applications, hopefully finally start that agrarian podcast we’ve been planning for 8 years, and generally spend more time building useful, online permaculture resources. This Winter, we’ll also start work on our first book. And our hope is that this website will contain more and more useful information about how to do, grow, make and design things that matter. So, that’s the plan. We’d love to have you join us on this new adventure. I think we’re all going to learn a lot. You can read more about Melliodora here… and here’s their blog. To Jess Cook + the 107 Projects crew, for being an amazing Sydney home for Milkwood. To our course hosts Jess Robinson, Tessa Dharmendra, Kathryn Scobie, Anaheke Metua, Adam Walmsley + Adam Kennedy for always keeping it pro, real, and smooth. To our beautiful teachers Samorn Sanixay, Gillian Kozicki, Floyd Constable, Brendan Morse, David Holmgren, Bill Mollison, Hannah Moloney, Tim Heard, Rosemary Morrow, Tim Malfroy, Sam Vivas, Narelle Happ, Michael Hewins, Heather McCabe, Darren Doherty, Adam Grubb, Dan Palmer, Paul Taylor, Geoff Lawton, Dan Harris Pascal, Will Borowski, Joyce Wilkie + Mike Plane, Jude + Michel Fanton and Rosemary Morrow, as well as the special international ones Joel Salatin (bigtime thanks there), Alan Savory, Dave Jacke, Craig Sponholtz, Eugenio Gras, Kirk Gadzia, Sandor Katz, David Asher, Jodi Roebuck, Curtis Stone + Jean-Martin Fortier. To our backend/frontend crew Trev Bamford + Heather McCabe, for making everything work, 24/7. To Jimmy McIntosh for videos of much gorgeousness. To Jo Fletcher at Redfern Connect, who gave us our first Sydney venue to work in. To Fiona + Adam of Buena Vista Farm for their beautiful venue + friendship, and to the radical nuns at Rahamim in Bathurst for their venue also. To general legends like Costa Georgiadis, Joost Bakker, Tim Malfroy (double dose of thanks), Justine Williams, Jon Kingston, Jessica Perini, Adam Snow,Ilaria Vanni, Byron Smith, Grant LeBrooy + Gianna Bonis-Profumo. To our RegenAG comrades Kym + Georgie Kruse. Thanks to our online + real-world Milkwood network of students, friends, writers, publishers, doers, growers + comrades, for allowing us to keep doing Milkwood as a livelihood. It’s a life worth living, that’s for sure. To the friends who’ve housed us, fed us, shared plant materials, and applied wine and whiskey as needed. To our dearly loved family, who’ve supported us and looked on with only slight perplexity as we seem not to settle down. And all the others. So many others – thank you. We cannot name you all, but we know you’re out there. Rightio then. Let’s move forward, with thanks for what has been, and excitement for what is to come. – Kirsten + Ashar + Nick. What do you get when you mix two determined farmer girls with an . . Keen to make 2019 the year you finally start keeping bees? Growin . .
Oh so excited for all of you! What wonderful news. Awesome! What an opportunity! Speaking of agrarian podcasts (the more the merrier! ), I’d love to have you guys on mine, Studio Rustica. It’d be great to tell your story from starting out at Milkwood, to Kiama, and on to Melliodora. What do you think? Email me if you’re keen and we’ll talk turkey – [email protected]. We can stretch it to M 😉 I’ll email you. So excited for you …. and for “us”. It’s going to be amazing! This is truly Stupendous news! Kirsten, I’ve been watching you guys since your willow water video and I can’t think of a better move. I return to your blog again and again as one of my resources and sources of inspiration. How wonderful! You’ve worked very hard at Milkwood and I wish you Nick and Ashar a joyous adventure at Melliodora! You are fine teachers. What a great thing to be able to do….look forward to hearing/reading all about it. Love reading your blog! We have been wathcing your progress and loving your offerings. I hope this means you will run PDC from Melliodora? Wanting something closer to home in Vic… looking forward to more posts on your progress. All the best for your new adventure. Hi Kirsten, any in particular you would recommend? Congratulations, Kirsten, Nick and Ashar. Really pleased for you! I’ve learned SO much through your Sydney-based courses and your extremely generous sharing of information through your blog. Thank you from the top and bottom of my heart. I do hope you can find a way to maintain some focus on small-space urban and rental gardening. The number of people who choose/are obliged to live this way is ever-increasing, yet the work to show us that gardening is for us too has only just begun. There is so very little accessible, Australian information. Us high-rise productive gardeners (and, in my case, balcony escargot farmers) still need you!! Congratulations!! All the best and can’t wait to read all about it!! 🙂 I showed up late to the party, but love everything you guys do! WOW so great to hear! You sure will have a blast and us we can look forward to get an inside look into this great project! Fits so nicely to what you are doing!